From controlling water from the exterior to managing vapor drive from the interior, it’s crucial that your air barrier system is designed with dew points in mind. D&R Masonry Restoration can assist you in coming up with a product that will work best for your application. ​Typically applied on the structure, behind the cladding (brick, metal panels etc.) air barriers are a technology that have changed over the years. 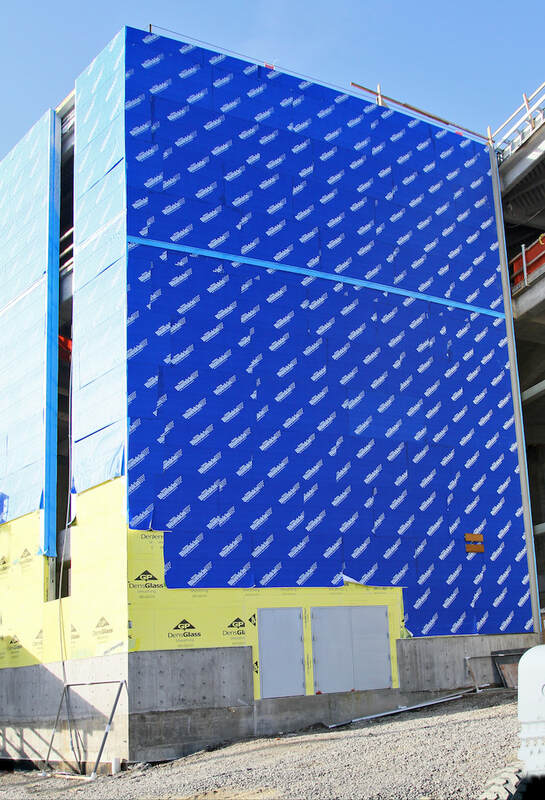 Air barriers have become one of the most important aspects of the building. There are a number of reasons why air barriers are important. They control moisture, solar and heat flow and the interactions between these elements. Moisture is carried by airflow. An air barrier can have a major effect on the longevity of materials that a building is comprised of and ultimately the structure itself. If a fire were to occur within a building the air flow would either suppress or encourage the fire to spread quickly. 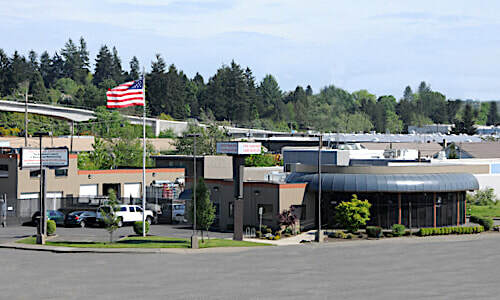 A dominating reason that commercial air barrier installation is important, particularly in the Portland and Vancouver metro areas and beyond, is airflow. ​Resisting the differentiations in air pressures between the outside of a building and the interior spaces is the job of the commercial air barrier. This must work effectively regardless of materials for either the exterior or interior. Examples of the composition of the surfaces might be gypsum board, plywood, stone, concrete, plaster or other less flexible products. Is air the flow restricted entirely? Is the air flow system’s life span expectancy at least that of the building that contains it? Can the system tolerate the possible disturbances during the construction of the building and afterwards? Does the system have any gaps in its coverage and is it continuous? 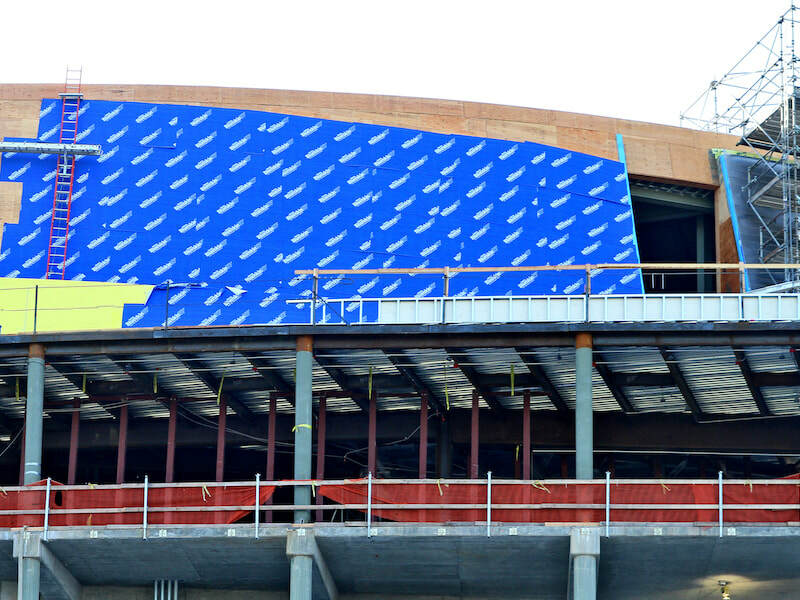 Air barriers must meet the requirements of the location in which they are installed and be resistant to the particular weather interactions that they may encounter. This can be a challenge in a city that might see subzero temperatures for much for much of the winter but that might also be very warm in the summer such as Bend, Oregon or Vancouver, Washington. Airflow must be controlled in order for a safe, durable, comfortable and healthy building environment. Air flow can affect not only moisture content but the spread or limitation of the spread of bacteria and other airborne contaminants.